Are you staying in one of our fabulous local hotels? Have the courage to overcome cable TV and get out of that hotel room and have some fun. We are surrounded by hotels at every price point. You can also call and order Take-Out food from our Craft Paso Kitchen (805) 226-0500. Nestled in the rolling hills of the celebrated central coast, Paso Robles is renowned for its fine wines and beautiful vineyards. 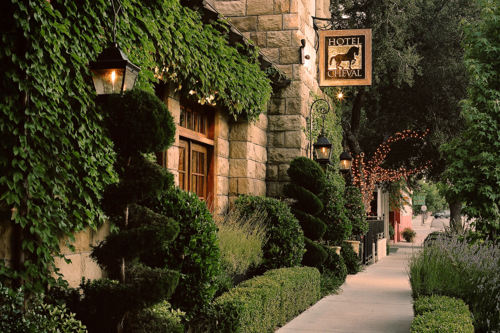 Hotel Cheval, is an intimate 16-room boutique luxury hotel, located just off Paso Robles' historic town square and offers well-traveled guests a unique and memorable experience. 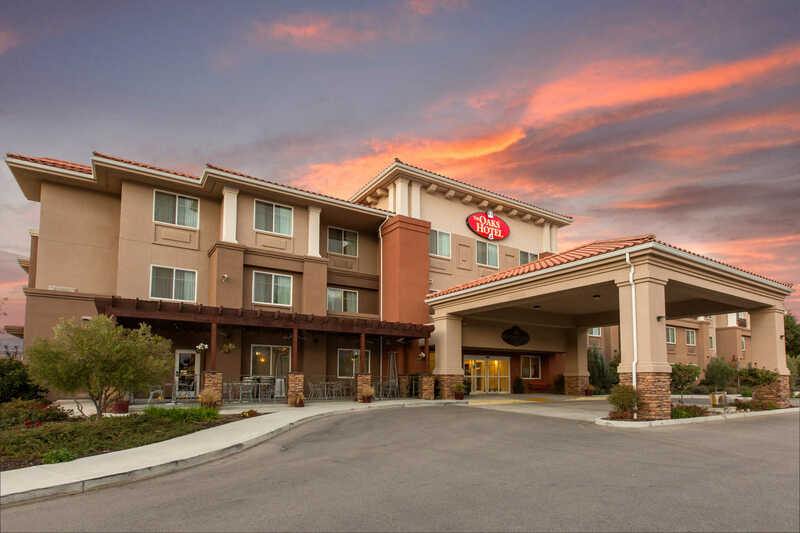 For a Paso Robles hotel with elegant rooms, luxurious amenities, and all the little details you need to relax and unwind, book with The Oaks today! The Oaks Hotel & Suites works hard to be a step above the rest with affordable luxury for everyone visiting our beautiful city on the Central Coast. 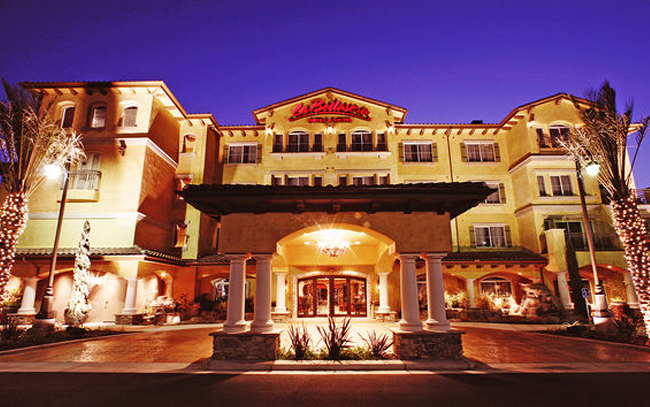 Allow us to enchant you with the elegance and comfort of La Bellasera Hotel & Suites, a boutique Paso Robles hotel nestled in the heart of Central Coast Wine Country. 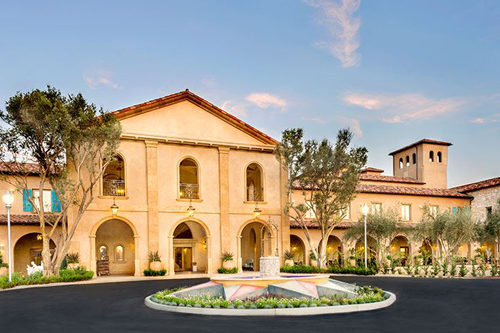 Influenced by Mediterranean and Italian architecture, our luxurious Paso Robles, California hotel accommodations reflect the aged sophistication of the Central Coast region and the relaxed nature of the California countryside. 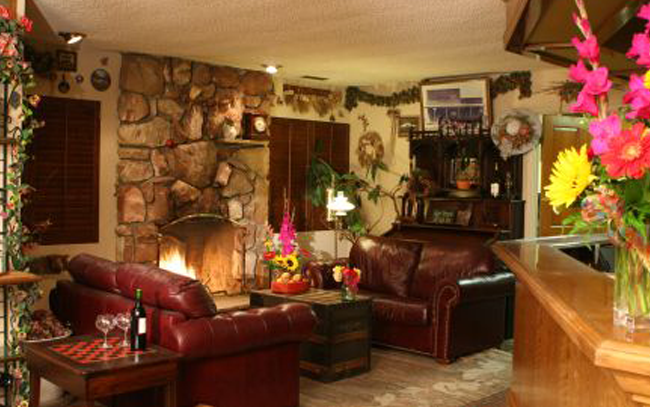 Family owned and operated since 1961, the Best Western Plus Black Oak hotel offers affordable accommodation in Paso Robles, CA. 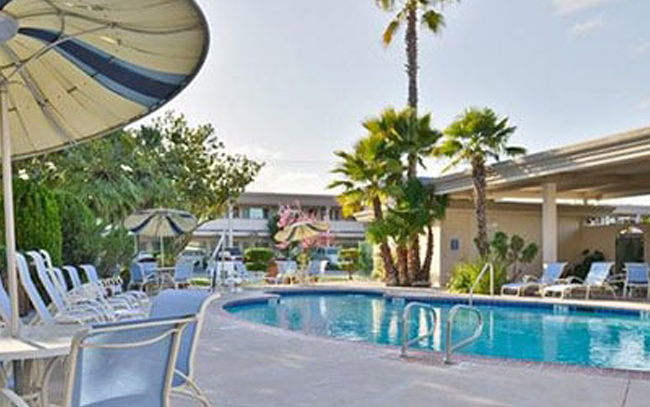 Our attractively landscaped property features a variety of well-appointed rooms and suites, along with an onsite restaurant, heated pool, sauna, hot tub and fitness center. Paso Robles’ pioneer hotel, the Paso Robles Inn has a rich and colorful place in Paso Robles history spanning more than a century. 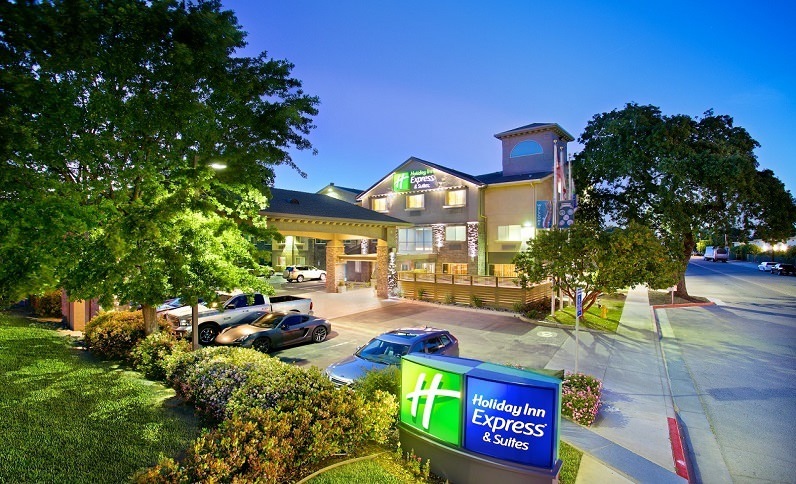 Offering a premier setting in the heart of California’s wine country, near the area’s best shopping, dining and events in Downtown Paso Robles, you’ll discover the historic charm in a warm and inviting space as you’re greeted by comfort and convenience of our guest rooms. Whether you choose one of our Deluxe Winery-Themed Spa rooms, a historic Ballroom Room, or a two-room Suite, there’s something to please any type of traveler. Are you going to a concert at Vina Robles? We are your after party. Head west on Highway 46 past the Highway 101 junction(Arco Station) and turn north on Black Oak Drive. 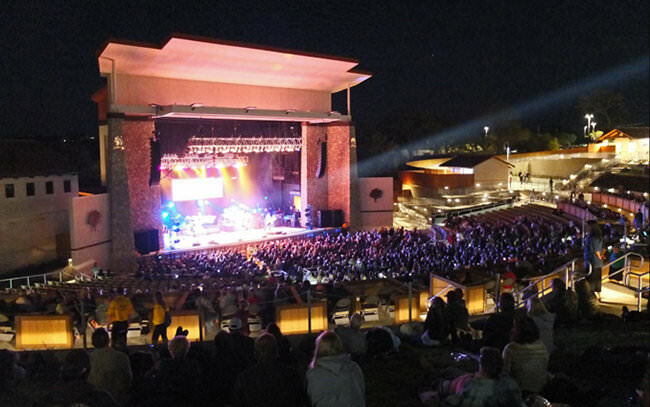 With its opening in the summer of 2013, the Vina Robles Amphitheatre became one of the largest outdoor venues for arts and entertainment in San Luis Obispo County. Featuring a style reminiscent of the California missions, guests are able to immerse themselves in a unique and intimate concert adventure as they enjoy modern amenities and first class hospitality. "America's Favorite Fair!" The Fair opened in 1946 and was first known as the San Luis Obispo County Fair. 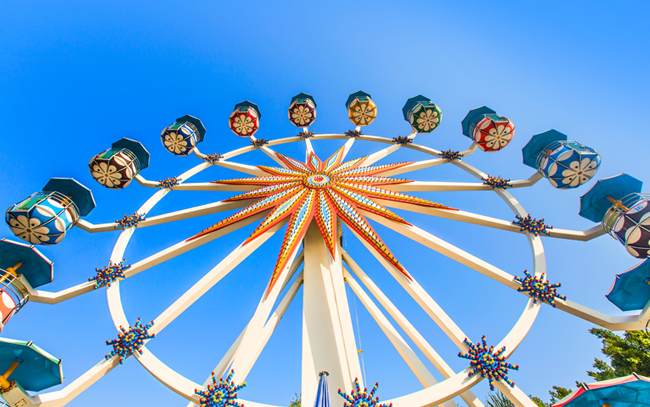 The California Mid-State Fair is held annually and runs for 12 days at the end of July. The Fair has hosted some of the biggest names in the music industry. 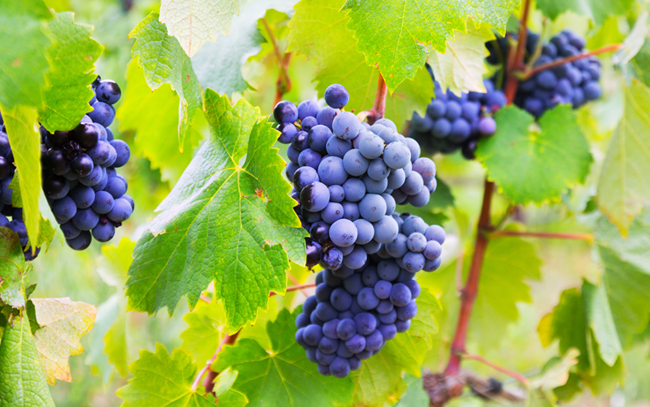 Paso Robles wineries run the gamut in this robust wine region. There are large resort style wineries making dozens of wines. There are also small family run places that may make just a couple of wines from their own estate grapes. Wearing a cowboy hat doesn’t seem out of place here. The region is more relaxed, rural and unpretentious than other wine areas.